Hyde Park is one of the largest parks in London. 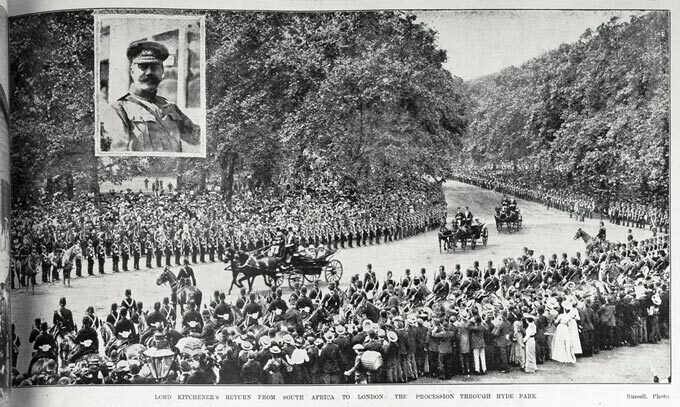 It was originally one of Henry VIII's hunting parks and in 1851, the park hosted the Great Exhibition in the Crystal Palace. It is a place people go to picnic, 'promenade', play sports including horse riding and boating, attend services and events such as royal processions and visit the various memorials. Hyde Park wouldn't be the same though without Speakers’ Corner. 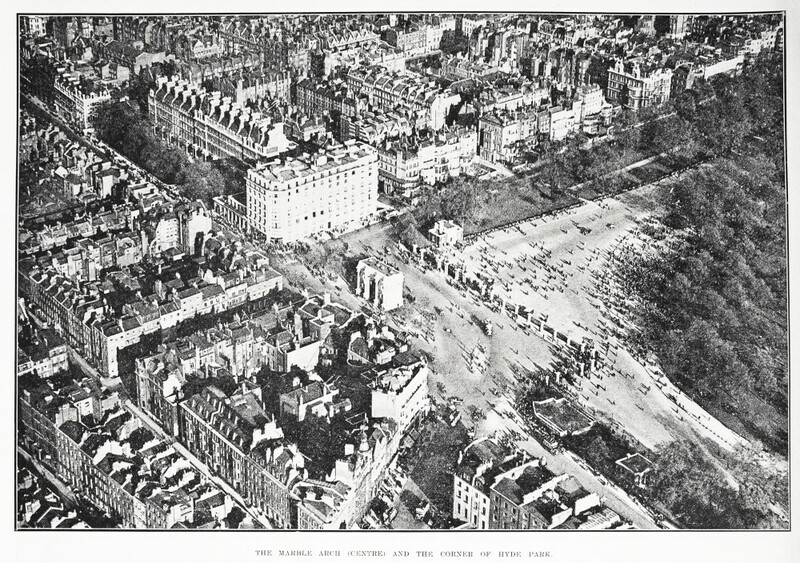 Located in the North East of the park, the paved area closest to Marble Arch is generally considered to be Speaker's Corner, however legally the public speaking area covers a much larger area. This seemingly innocuous location in the park is a globally recognised symbolic site where people can meet and freely express their views. Since 1872, all speakers have had a legal right to speak here publicly about anything, as long as no profane language is used. At its peak during the 1930s to 1970s, this site had a 'vibrant culture of direct political engagement, street theatre, heckling and debate' (from Sounds from the Park). 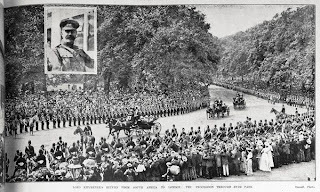 a procession to celebrate Lord Kitchener's return from South Africa. Watch out for a Hyde Park collection turning up on Auckland Libraries, Heritage & Research Historypin page in the future!